We're open 11 am to 9 pm Monday through Saturday. ♦ New Years Day ♦ Easter Sunday ♦ Memorial Day ♦ Independence Day ♦ Labor Day ♦ Thanksgiving Day ♦ Christmas Day. Carry out orders are welcome. 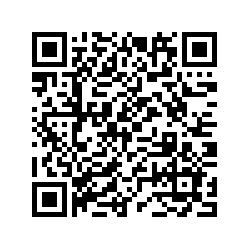 Scan to add us to your smartphone contacts! "Every neighborhood should have a café like Jennifer's!" © 2018 Jennifer's Café. All Rights Reserved.